When 4G was introduced towards the end of the 00s, it led to an explosion in mobile internet usage. Using the mobile web went from being a functional, slow, second-rate experience to one that is largely frictionless and, in many cases, superior to that of desktop. Smartphone internet usage overtook that of desktop in 2016, and projections unanimously agree that the trend will continue. What impact, then, will the impending rollout of 5G networks have on the consumption of content and the growth of different devices going forward? One area set to benefit hugely from 5G is virtual reality (VR), with the improvements to mobile networks seemingly tailor-made to solve some of VR’s significant stumbling blocks. Currently, workable VR use cases simply do not match up to the hype. This is consistent with many potentially game-changing technologies – blockchain being one – but it is something the industry will have to solve before genuine widespread adoption will be seen. There are many issues holding back VR in its current form. These include the cost of hardware and the lack of useful or interesting software to justify the cost of the hardware. Perhaps most important, however, is the lack of mobility due to the most powerful devices still being tethered. This is where 5G can make an impact. 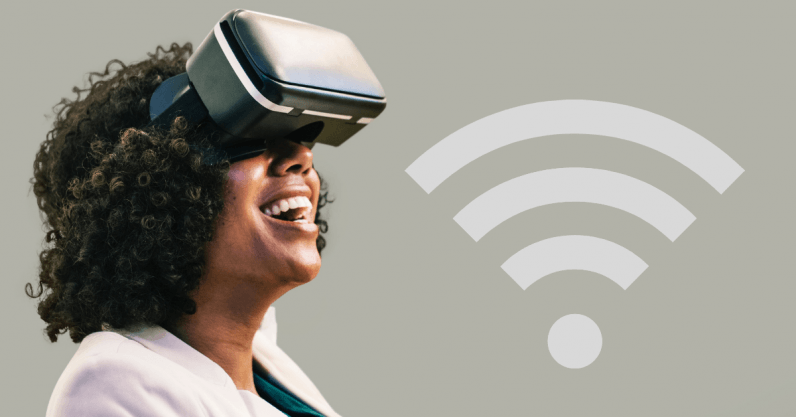 Currently, 4G network standards are very limiting in terms of what can be achieved, and it generally can’t handle the sophisticated input mechanisms of VR experiences on its own. Basic, preloaded experiences can be enjoyed remotely, but anything more complex than a VR headset has to be tethered to a more powerful computer with access to broadband. Eric Qian, Head of Strategic Focus and Business Innovation at Ericsson, believes that 5G’s speed has the potential to solve VR’s most crippling problems. “When it comes to immersive technology, we’re mainly talking about applications within the virtual reality, augmented reality and mixed reality areas,” he told VRFocus. The number of connections supported by 5G is greater than anything conceivable on 4G, and its potential to support the Internet of Things (IoT) more generally includes VR applications as part of the burgeoning industry. The seamless experiences that 5G will support will change the primary use cases of VR altogether. Where the technology is currently only gaining serious traction in entertainment, its potential in eCommerce potentially dwarfs that of gaming. According to the VR/AR Association, the retail industry already spends $1 billion annually on VR/AR solutions, and a 5-year CAGR of 240% is forecasted. So the rollout of 5G will give developers the tools to greatly increase the scope of their VR projects, and make genuinely immersive, effective products that can be used remotely. The hype is there, the investment is certainly there, and with 5G the infrastructure to realize the technology’s potential will be there too. Something that is often overlooked in the conversation about VR is its quieter cousin, augmented reality (AR). Popularized primarily by mobile games like Pokémon Go and apps like Snapchat and Instagram, AR arguably has more immediately realistic applications than VR. It requires nothing more than a smartphone to function and it doesn’t shut the user off from their environments, both major barriers to adoption for VR that AR does not have to contend with. Also, the of notion of overlaying technology onto the real world is an altogether more enticing proposition commercially than VR’s total immersion. We spoke with Steve Raymond, CEO of volumetric video technology company 8i, and discussed the potential for a form of VR/AR in daily life. “My vision is that in ten years we’ll be walking around and, just like now we always wear an earphone and they’re wireless, we’ll have glasses,” he says. Ultimately, these mobile applications of the technology will not be possible until 5G powers them. If the future of VR and AR is the ability to use them as part of your daily life regardless of where you travel, more powerful mobile internet is a must. There are countless potential applications. Something as simple as scanning products and having alternatives automatically displayed with price comparisons and reviews, could change the way people shop. Having directions pasted onto the road in front of a user’s eyes could make mobile directions less distracting and more seamless. Even the possibility of gaming in real-world spaces that you recognize captures the imagination. Fortunately, the improvements made possible to VR by 5G will also apply to AR, and we should see the uses of the technology explode as both smartphones and mobile internet become faster and more powerful. Whether or not one of the tech giants can make smart glasses a viable reality is another conversation altogether, but as the benefits of AR are brought to the fore, the demand for wearable technology that harnesses its power will increase. Whichever of the two technologies comes out on top, it will be in part as a result of 5G’s rollout. Consumers and commentators alike have been waiting for both VR and AR to realize their potential beyond the world of gaming, and gradually falling hardware costs will improve adoption rates as quality software is built for both. Almost every major tech player has invested significantly in VR hardware – Samsung has Gear, Facebook has Oculus, HTC has VIVE – and 5G could be one step closer to the huge returns that they’ll be expecting the nascent technology to provide.